New techniques such as blending multiple focal points to overcome the camera's 'depth of field' limitations allow me to record images such as this with long lenses. 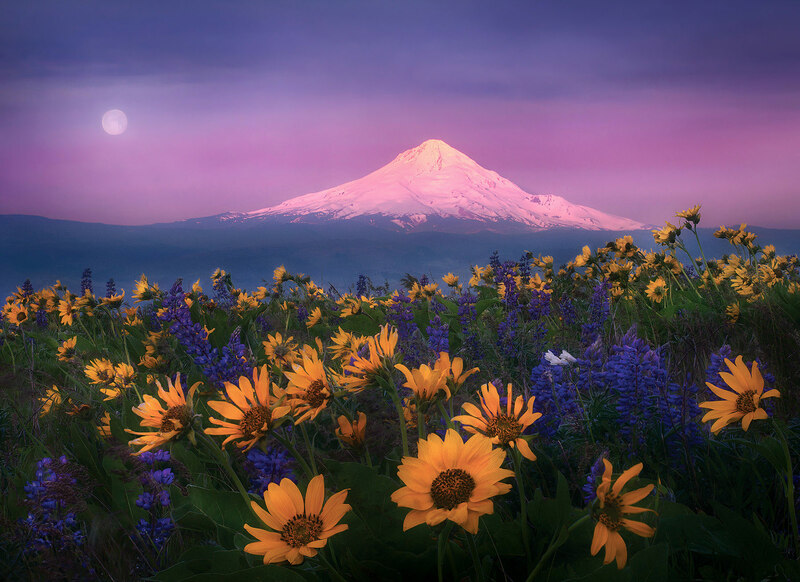 Using my telephoto and several stacked focal points I was able to capture Mount Hood and the full moon setting as they appeared over Washington's wildflower-laden Columbia Hills one fine spring morning. Photo © copyright by Marc Adamus.